Instances of locksmith fraud are on the rise. Home and car owners who get locked out or lose their keys are easy targets. In emergency situations, these fraudulent lock technicians can take their unsuspecting and often desperate victims for a ride by demanding exorbitant rates for unlocking a home or a car. As per the Consumer Federation of America (CFA), consumer complaints about locksmith fraud have been increasing. In addition to the mental trauma of being locked out of one’s own house or car, the owner deals with the added shock of having to pay anything of upwards of 10X the rate charged by a professional and certified locksmith. If you are alone, there is the added stress of having to deal with an uncertified locksmith, who could even harm you physically. Does their ad read genuine and honest? Google their client reviews – check what previous clients have to say about their service. 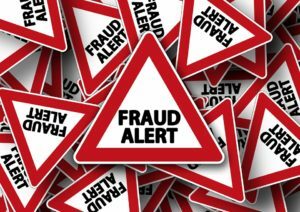 If you cannot find a legitimate address and an established and verified web presence, there is every chance that you are dealing with a fraudulent company or technician. Are they Licensed and Operating under a Registered Business Name? Can they confirm their listed address over the phone? Can they confirm if they are licensed and provide the registered name of their business? If you ask for a price estimate and they quote a ridiculously low rate, it’s a red flag. Ask them if they will be able to provide a written estimate before going ahead with the task. Inform them that you will check the ID of the onsite lock technician – legitimate and certified locksmiths will have no issues with the request. If for any reason you find the answer to all your queries unsatisfactory, don’t take it any further. Does the behavior look unprofessional? Are they willing to show their ID proof or credentials? Are they ready to provide a written estimate before starting the task? Do they insist on cash payment? All of these are red flags that should put you on your guard. The best course of action would be to stop right there. In case you still decide to go ahead, avoid making any kind of payment, unless you are completely satisfied with the work. And don’t forget to ask for a receipt. If at any point you sense trouble or are convinced the individual is trying to scam you, call the police. Locksmith fraud can be avoided if you are careful about selecting a locksmith. It is best to have the number of a reliable locksmith beforehand, to avoid facing any kind of difficulty in the event you need one on an urgent basis. You can call Racine’s Lock & Key for trusted reliable locksmith services for your home, cars and office lock and keys. We assure you of high quality and affordable services with prior estimates. Licensed and qualified technicians will visit your location within promised time frame and will provide you with best services you need from us.